at the Depot Artspace, 28 Clarence St, Devenport. Opening event is on 14 September at 3pm- 4:30pm. The exhibition is on until 26 September. 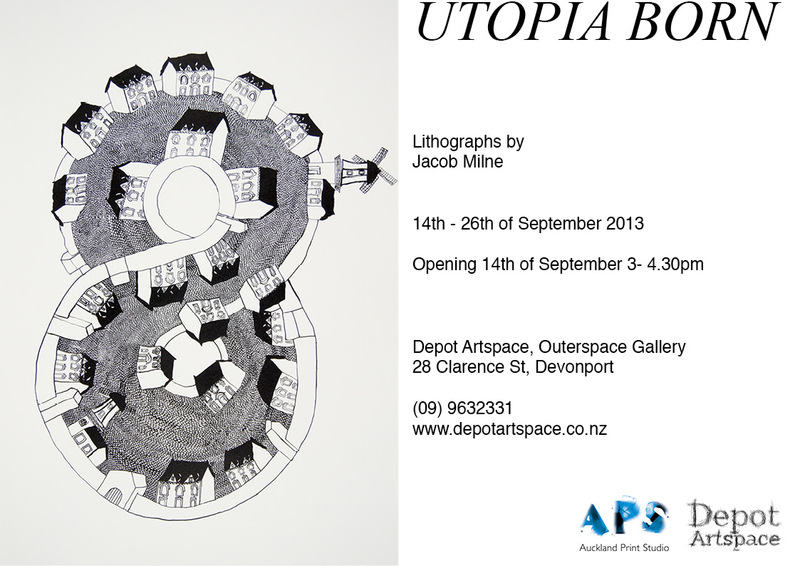 Utopia born is a series of lithographs forming the archetype for two contained micro utopias. comprised of a unique utopian society. two worlds that exist together but in isolation from each other.